Recently I've discovered a new sales company crochet. The t-shirt yarn is lightweight, ideal for making bags. 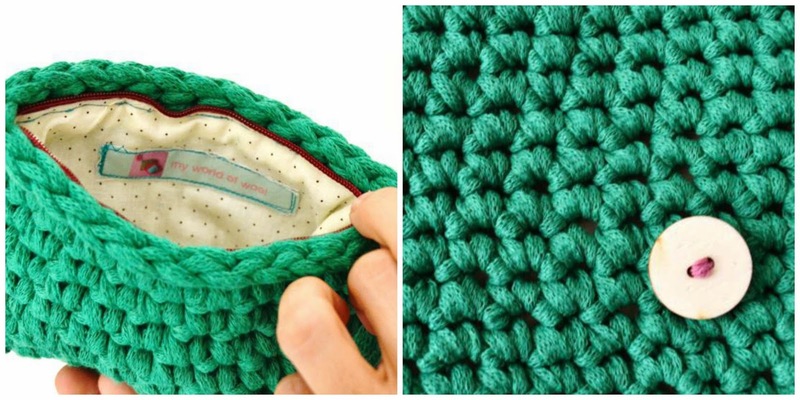 If you have a friend who likes to crochet this is a good gift idea, right? You see the original packaging? I love it! We love DIY! 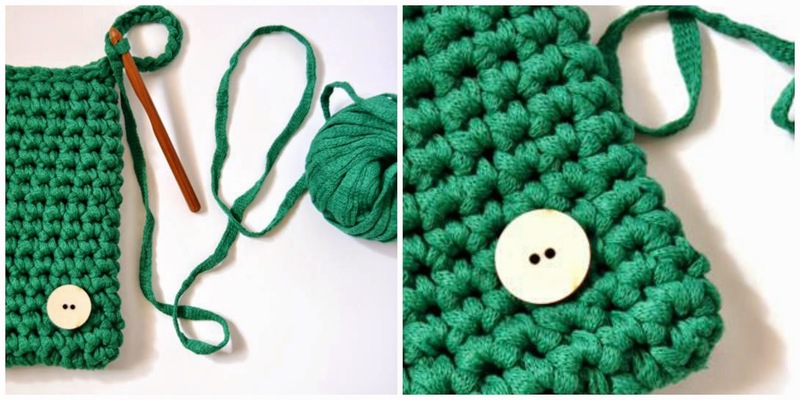 to the world of crochet, with pictures step by step. 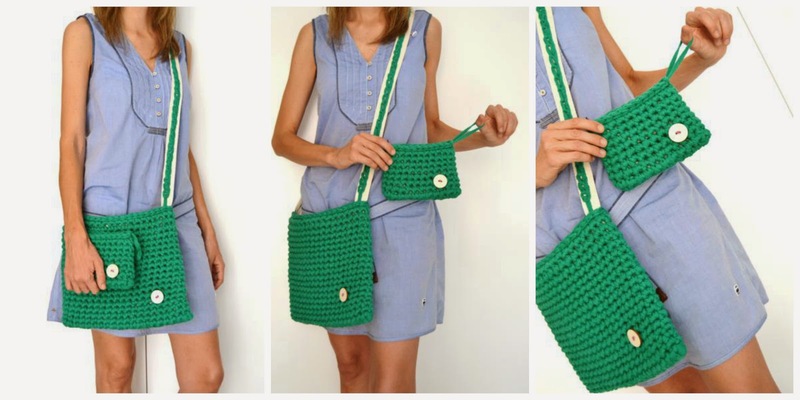 I make a crochet XL bag and a crochet XL small bag! You can see what model I had???? Deluxe!!!! For the handles I made ​​a chain stitch crochet and sewn on tape. Here, finally, I sewed the two little buttons of wood. Give it a very air funny! You like? And the lining is a sweet fabric with polka dots. With a garnet zipper for small bag and a blue zipper for the other. It will be a gift for my mother. But ... Carlota says he wants to make a gift to Grandma! I am left without bags!!!!! hahahaha! You Know Joana Serrat? The album Dear Great Canyon? El color és una passada!!! 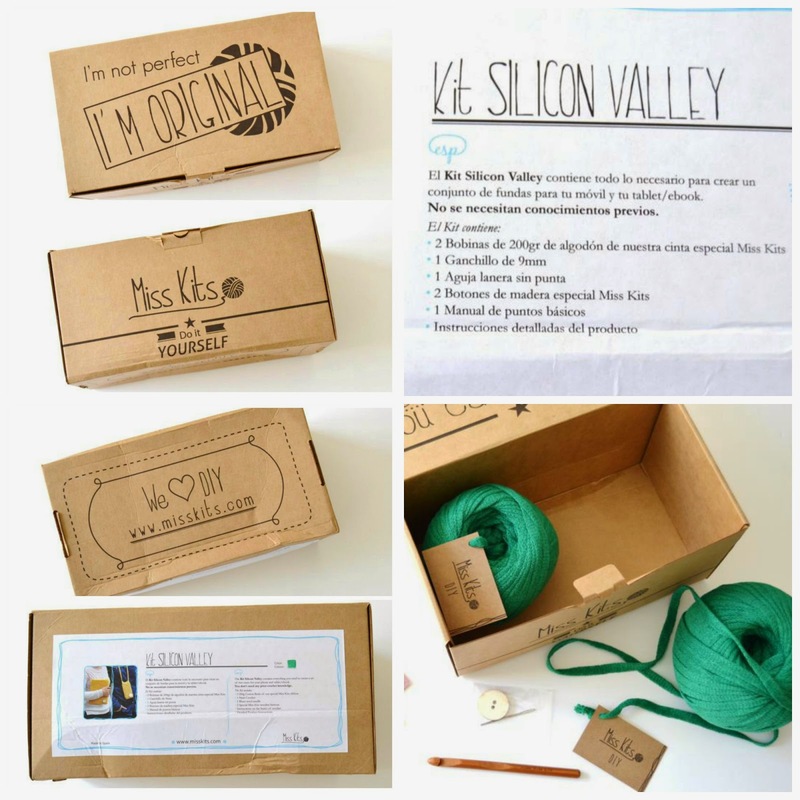 How great is that packaging and the branding of Miss Kits! MI love it and your interpretation of the kit is super! In 1 word : SUPER! What a great idea and a Great kit. Your blog is beautiful to visit and lot of ideas. And I will come back to visit again. Miss Kits és genial!! Jo també he comprat un kit i és una passada! Fa uns dies que he descobert el teu blog i és molt interessant. Quina monadaaaaaa!!!! Ho trobo preciós! I els colors em xiflen. No coneixia Miss Kits, merci guapa.